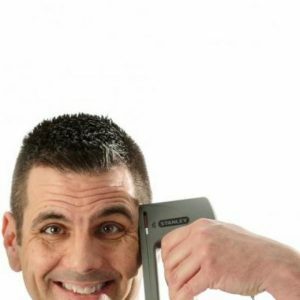 A perfect blend of comedy hypnosis mixed with mentalist and magic creates The Fraser Frase Experience. Watch crazy Fraser hypnotize volunteers to act out his bizarre suggestions of funny life situations. Top all that with a little magic and stupid feats of mentalist and you have comedy that blows your mind. To be fair, I did spend the about 15 minutes of the show with my eyes closed. I never got hypnotized, but I was put through the process. And during that “hypnotic vetting period,” the action amongst the crowd is likely less exciting than what the candidates experience. But overall, it’s a lot of fun. Fraser begins the show with some traditional mentalism using envelopes, cards, and staplers. And then he moves into the meat of the show. Fraser starts with 15 people on stage and slowly whittles the crowd down to a more susceptible number — in our case, there were four remaining. The cast is put through the wringer, but in a fun and endearing way. They’re made to see celebrity crushes, play with imaginary animals, and explore other assorted characters. There’s a touch of adult themes — but nothing that’s going to embarrass the participants. The only thing that’s probably not tailored for a 2018 audience is encouraging a hypnotized participant to speak “Chinese.” That might have the potential to be offensive to some.